MIRROR IMAGE is the result of a contest I held where readers submitted story ideas and I chose one to co-write a short story with. Aaron Reed, a pastor and avid reader, won and we both had a blast working on the story. Sometimes, things aren’t what they seem. Sometimes, they’re much worse. When Dennis, a loner with a wounded past, discovers he looks identical to author Joshua Norton he convinces himself that Norton is living a life he doesn’t deserve. Curiosity takes a dark turn when Dennis begins obsessing over Norton’s seemingly perfect life and eventually plots to switch places with the undeserving author. But reality isn’t always what it appears to be and what Dennis finds isn’t exactly what he expected. 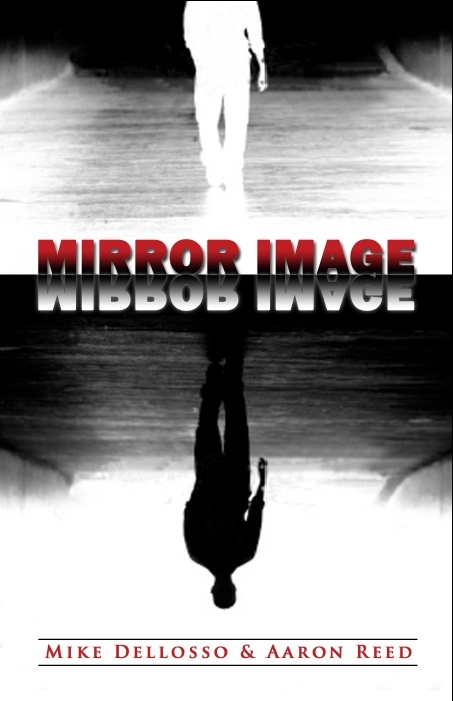 MIRROR IMAGE is available through Kindle only as an e-book. If you don’t have a Kindle, no worries. Amazon has apps for just about every kind of reading device (tablets, phones, PC, Mac, etc.) so you can download Kindle books to anything.